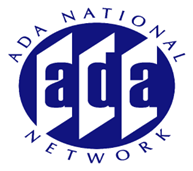 Addressing three ADA employment cases last June, the U.S. Supreme Court decided that mitigating measures (such as the use of medication or devices to offset the symptoms or effects of disabilities) should be considered in determining if a person is substantially limited enough to be covered by the ADA. This decision is a significant departure from previous federal guidance. Does this mean that people who are using medication for epilepsy or a psychiatric disability are no longer covered by the ADA? This session will explore the evolving definition of disability in light of the recent Supreme Court decisions.